Despite more than 30 years of research, shape grammar implementations have limited functionality. This is largely due to the difficult problem of subshape detection. Previous research has addressed this problem analytically and has proposed solutions that directly compare geometric representations of shapes. Typically, such work has concentrated on shapes composed of limited geometry, for example straight lines or parametric curves, and as a result, their application has been restricted. The problem of general subshape detection has not been resolved. In this paper, an alternative approach is proposed, in which subshape detection is viewed as a problem of object recognition, a sub-domain of computer vision. In particular, a general method of subshape detection is introduced based on the Hausdorff distance. The approach is not limited in terms of geometry, and any shapes that can be represented in an image can be compared according to the subshape relation. Based on this approach, a prototype shape grammar system has been built in which the geometry of two-dimensional shapes is not restricted. The system automates the discovery of subshapes in a shape, enabling the implementation of shape rules in a shape grammar. Application of the system is illustrated via consideration of shape exploration in conceptual design. The manipulations of sketched design concepts are formalised by shape rules that reflect the types of shape transformations employed by designers when sketching. 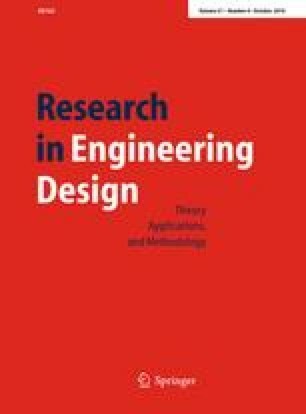 The research reported in this paper was carried out as part of the Design Synthesis and Shape Generation project which is funded through the UK Arts & Humanities Research Council (AHRC) and Engineering & Physical Sciences Research Council (EPSRC)’s Designing for the 21st century programme.